Warner Bros., owner of the copyrights to the films Gone with the Wind and The Wizard of Oz, sued a group of defendants, including AVELA, for copyright infringement of those films. 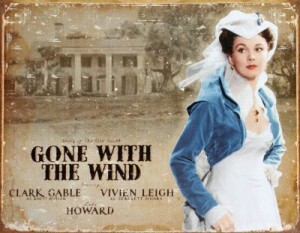 AVELA obtained copies of movie posters and lobby cards from Gone with the Wind and The Wizard of Oz which AVELA claimed were in the public domain. AVELA then took those purported public domain images and created re-production posters and sold them. In addition to exact copies, AVELA also licensed modified images and combinations of multiple images for sale on t-shirts, coffee mugs and other products. The district court summarily found in favor of Warner Bros. and issued a permanent injunction. AVELA then appealed to the Eighth Circuit court of appeals which partially overturned the district court’s ruling, holding that the movie posters were in the public domain, but not all uses of the public domain images were permissible. Under the 1909 Copyright Act, one who created an artistic work held a common law copyright in that work until “publication” occurred. See Burke v. Nat’l Broad. Co., Inc., 598 F.2d 688, 691 & n.2 (1st Cir. 1979). If the publication complied with the notice requirements of the 1909 Copyright Act, the common law copyright was replaced with a federal statutory copyright, but a publication without the prescribed notice resulted in the forfeiture of any copyright. Data Cash Sys., Inc. v. JS&A Grp., Inc., 628 F.2d 1038, 1042 (7th Cir.1980). In other words, the general rule under the 1909 Copyright Act is that a work published in the United States without the statutorily required copyright notice fell into the public domain, “precluding forever any subsequent copyright protection of the published work.” Twin Books Corp. v. Walt Disney Co., 83 F.3d 1162, 1165-66 (9th Cir. 1996). of the public as possible. The court went on to hold that AVELA was free to make exact reproduction of these public domain works and sell them as re-production posters. Next the court considered AVELA’s modified images and other derivative works (some of which AVELA has applied for its own coprights). AVELA argued, “there is no limitation on the public’s right to modify or make new works from public domain materials.” The court, however, disagreed. AVELA is correct that, as a general proposition, the public is not limited solely to making exact replicas of public domain materials, but rather is free to use public domain materials in new ways (i.e., to make derivative works by adding to and recombining elements of the public domain materials). Nevertheless, this freedom to make new works based on public domain materials ends where the resulting derivative work comes into conflict with a valid copyright. The court went on to hold that only the exact images in the publicity materials are in the public domain and that AVELA had committed copyright infringement even when it combined two public domain images. For example, the court held that making an action figure of Dorthy based on the public domain movie poster was copyright infringement of the movies themselves. 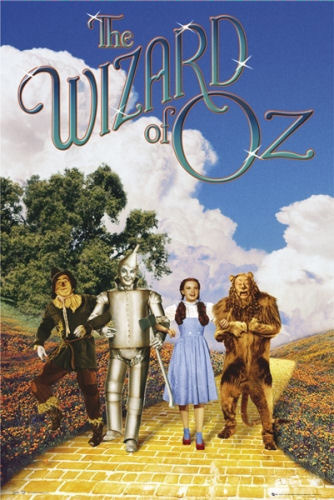 Perhaps more surprising, however, was the fact that the court found that combining an image of Dorthy from a public domain movie poster along with the phrase “there’s no place like home” from the pubic domain book The Wizard of Oz. was copyright infringement. Even if we assume that each composite work is composed entirely of faithful extracts from public domain materials, the new arrangement of the extracts in the composite work is a new increment of expression that evokes the film character in a way the individual items of public domain material did not. The court’s test for whether combining public domain items will infringe an existing copyright is far from clear. Thus, like most interesting copyright legal questions, there is no bright line test.